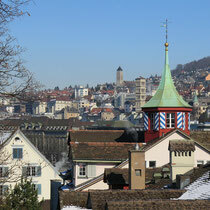 The biggest city of Switzerland is known for its high quality of life coupled with a cosmopolitan attitude. The city connects three different European cultures and offers an excellent economic, social and intellectual infrastructure. Visitors can enjoy the extensive and reliable public transport system or explore the city by bike on one of the ubiquitous bicycle paths. 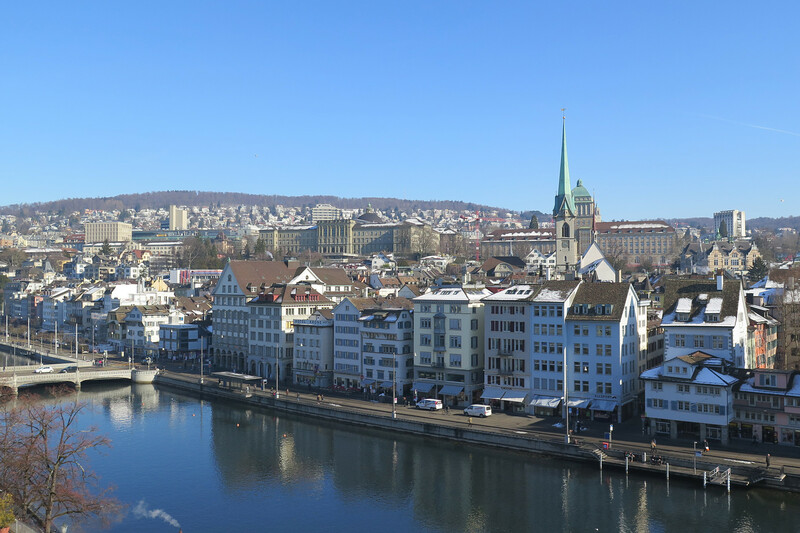 Zurich is not only known as the economic center of Switzerland but also as one of the foremost financial centers internationally. It is home of the Swiss Stock Exchange, the world’s 4th largest stock exchange, as well as numerous national and international banks and companies. 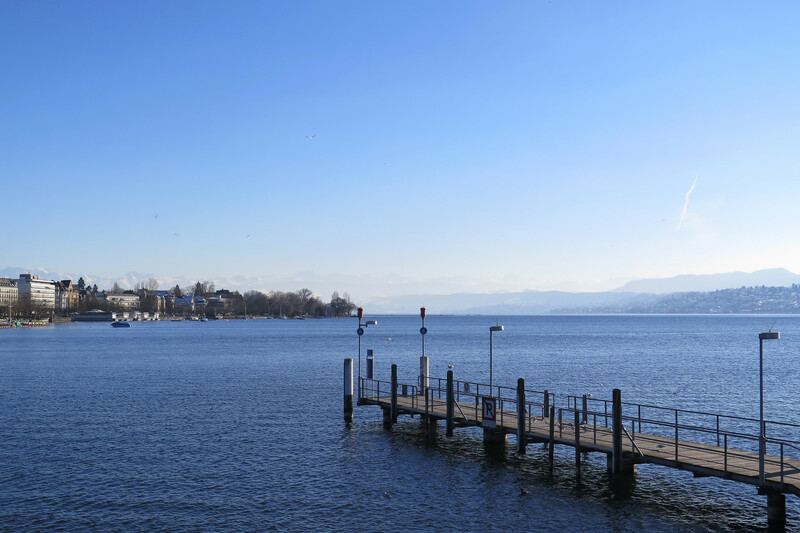 With its easy accessibility, great infrastructure and fantastic view of the surrounding mountains Zurich is also a popular destination for meetings and conferences. 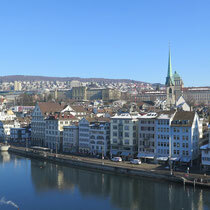 Zurich’s old town is divided by the river Limmat, a tributary to Lake Zurich. 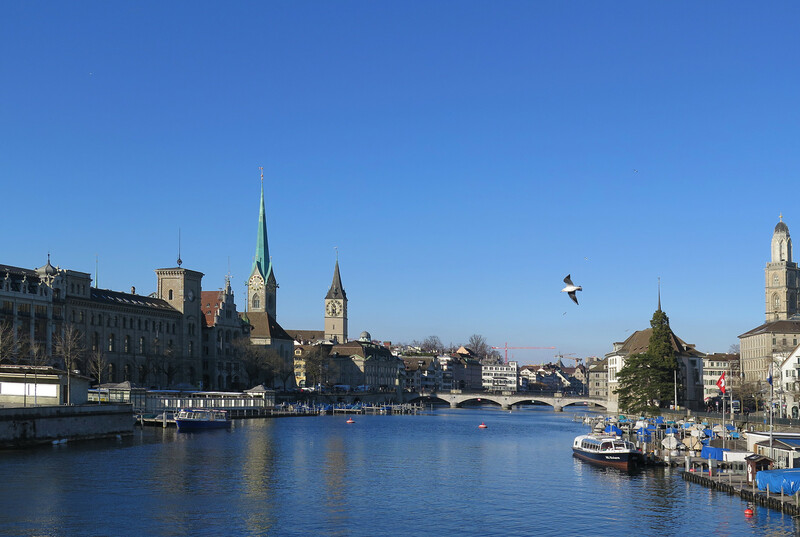 Two of the most well known landmarks are the churches Grossmünster and Fraumünster, which lay vis-à-vis on opposite sites of the river Limmat and are connected by the Münster Bridge. The old town includes the popular pedestrian area Niederdorf with numerous restaurants and bars as well as a lot of small boutiques and shops. The biggest shopping street is Bahnhofstraße with international designer stores that stretches over 1,2 km from Zurich’s central station to Lake Zürich. Art lovers will find a big and varied cultural scene that includes a vast array of museums, galleries, theatres and concerts. In the city center alone, you can find about 50 different museums and even more galleries. The cultural offers include everything from classical music at the opera house to modern and contemporary art. 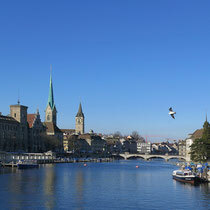 Especially in the contemporary area, Zurich has developed a prestigious reputation that rivals London and New York. Outdoor enthusiasts also get their money’s worth in Zurich. 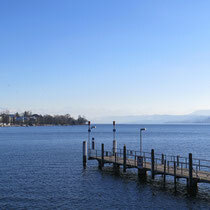 The city lies on the shores of Lake Zurich that serves both as a recreation area for locals and attraction for tourists. The waterfront promenade and the adjoining parks are popular by young and old. On the other hand, enjoy the fantastic view from Uetliberg, Zurich’s local mountain, at 871 meters above sea level. 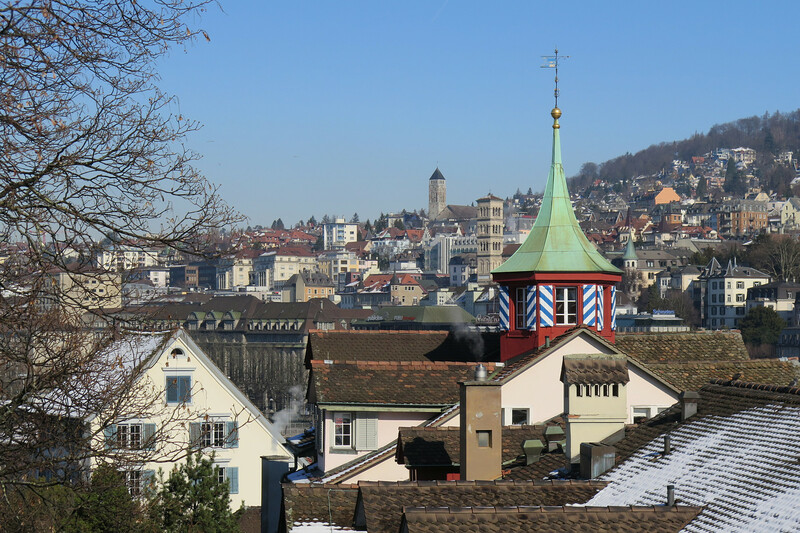 It can be reached via train directly from Zurich’s central station and serves as a starting point for all level of recreational sporting activities. From just taking a walk with young children to mountain biking and even paragliding, there is something for every taste. Tip: Use Zurich as a starting point for daytrips to cities such as Luzern with its historical old town, or spend a day in the Bernese Oberland with its magnificent view of the Eigernordwand and discover everything the Swiss nature has to offer.